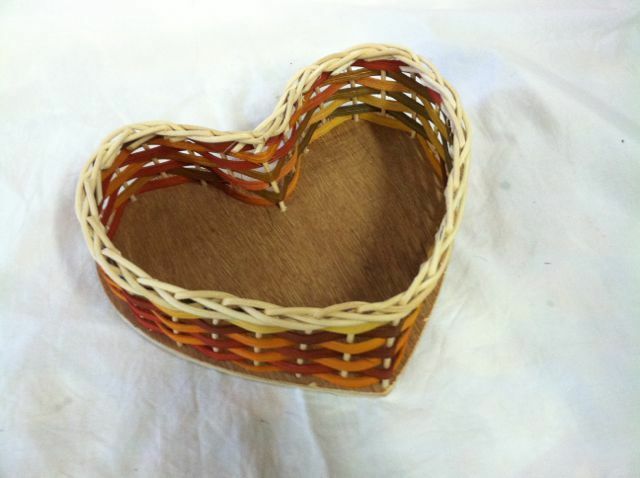 Easy beginners heart basket for all ages. Great for Scout, School or Church groups. Heart shape woven on a 8" predrilled wood base with space dyed reed.